Picture the majestic Great Barrier Reef in Australia. Maybe this is a place you always wanted to visit, or maybe you have been there. Either way, the color and texture of this beautiful wonder has caught your eye at some point. 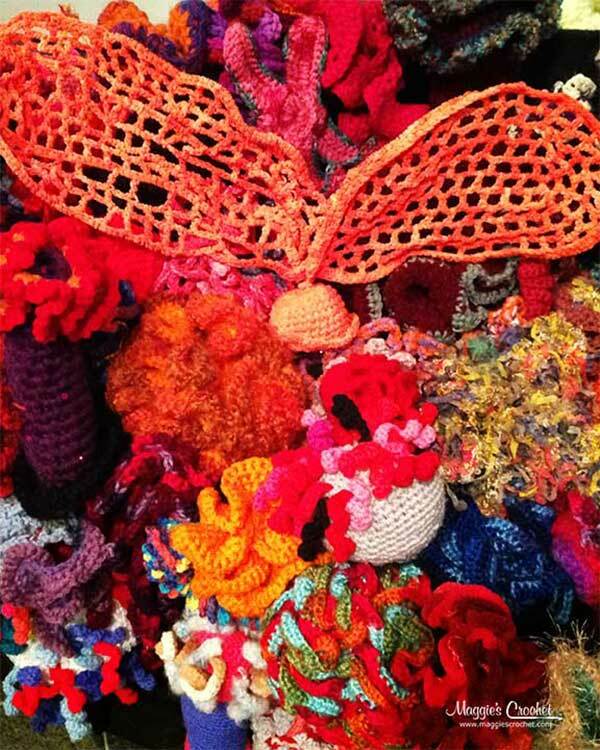 Now picture the gorgeous coral in crochet form. 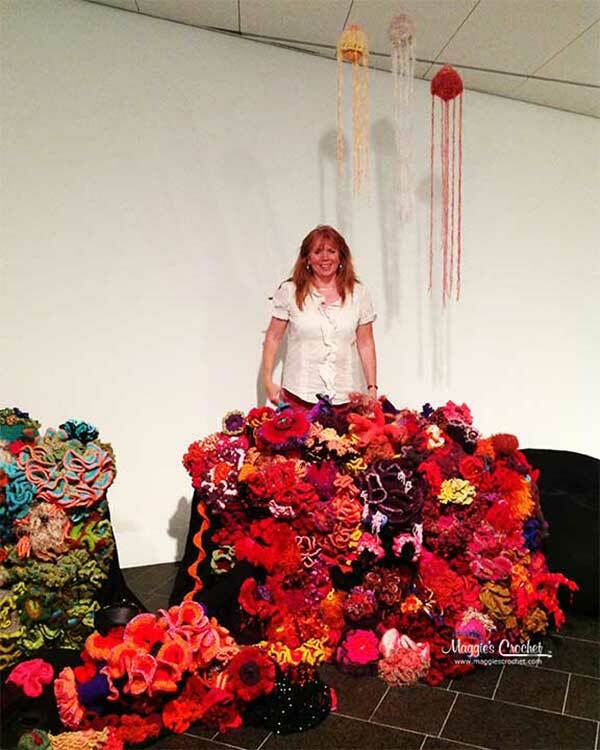 At first glace, the Crochet Coral Reef (CCR) project looks like the real thing until you step closer and see the fine crochet stitches that were used to create columns, tubes and other coral-inspired shapes. 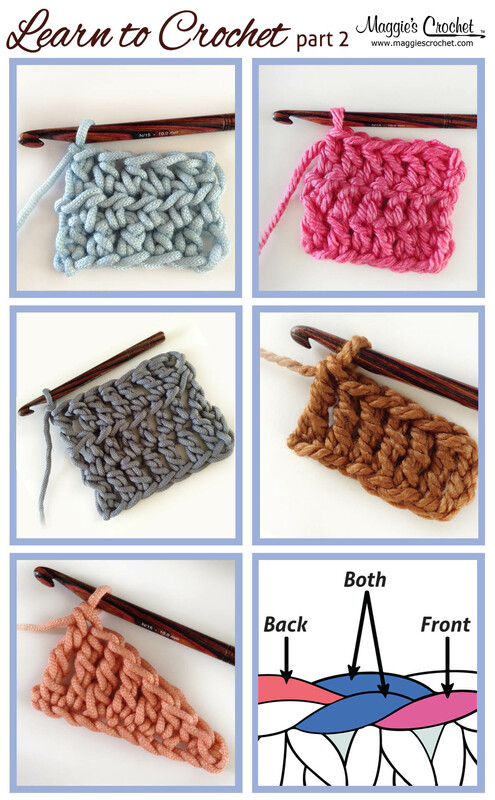 These shapes are not accidental, they were using the scientific based technique called hyperbolic crochet. 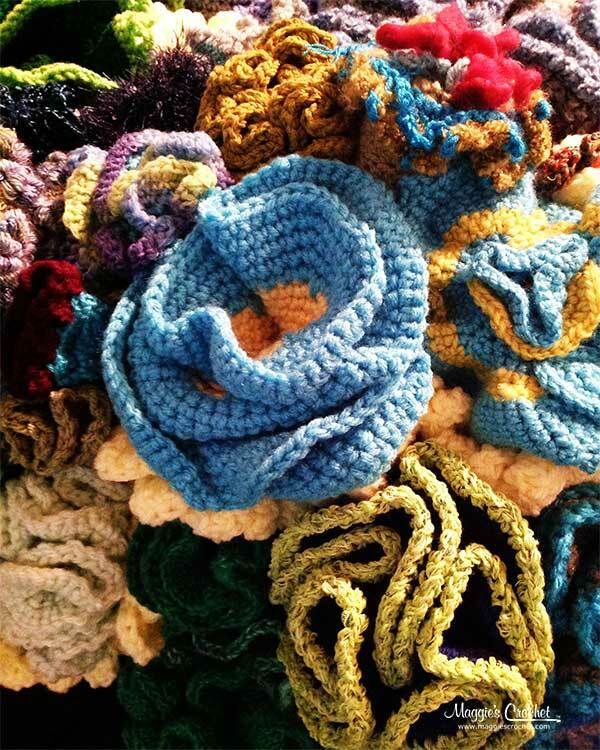 Hyperbolic crochet is a technique that combines mathematics and science to create pure and mutated shapes with a mathematical algorithm. 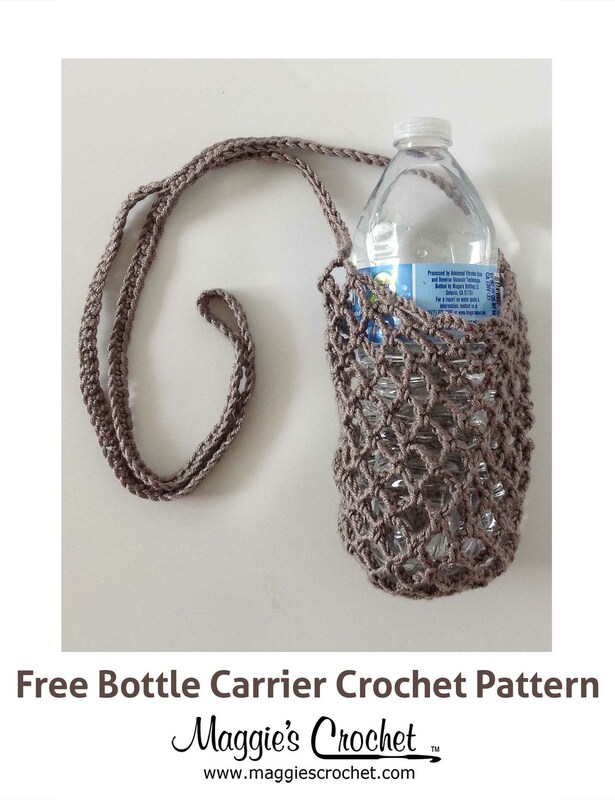 Crochet is a needlecraft art that is easy to manipulate into the desired formations for a coral reef. 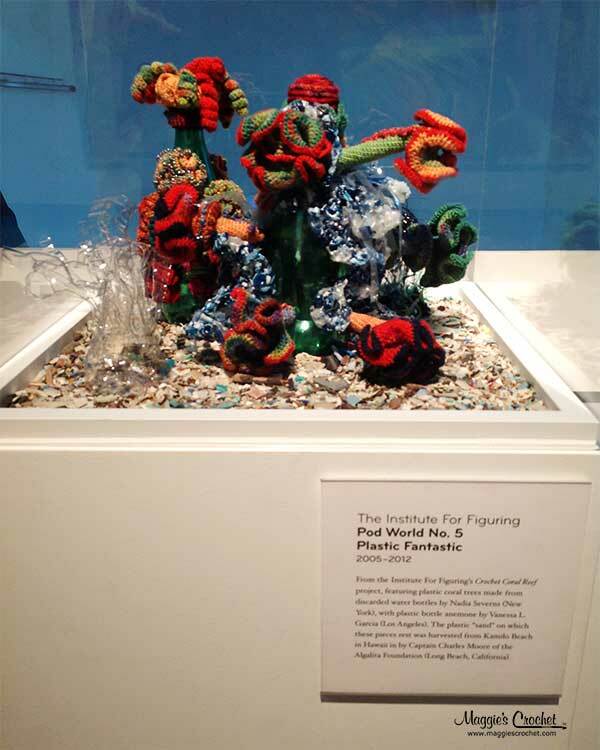 The project started with the original coral reef, but it didn’t stop there. The colorful coral shapes inspired many others to continue exploring the coral reefs, which is exactly the purpose of the CCR project: to bring awareness to this natural wonder that is being threatened. There are several sub-reefs that were developed later. 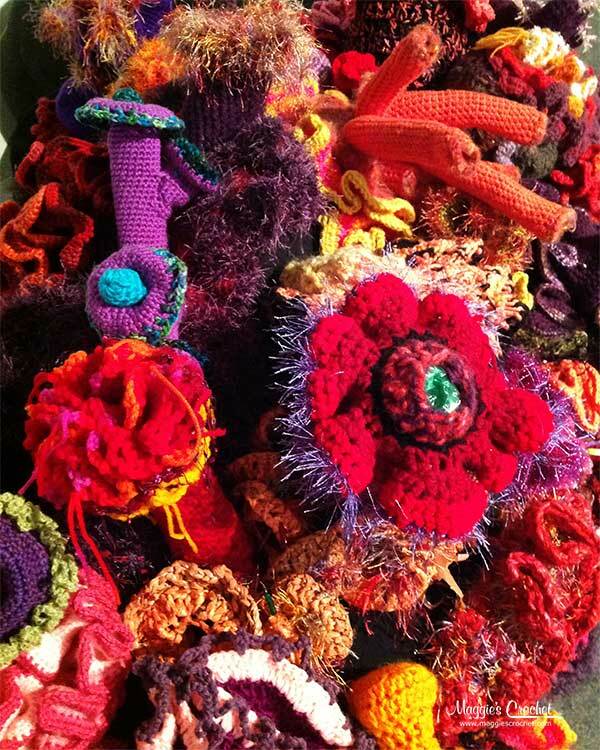 This includes the Bleached Reef made from white and neutral yarns, Beaded Reef and Branched Anemone Garden; all with their own artistic look and story as to the creation. 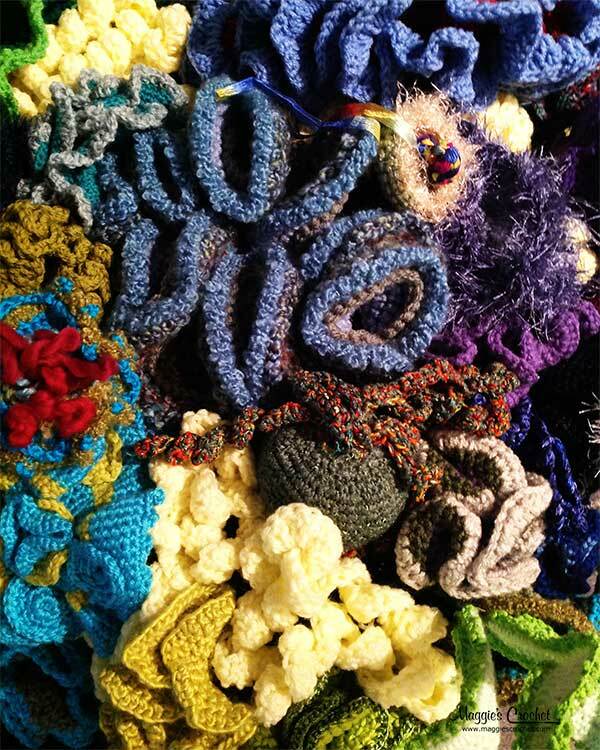 There is even a Toxic Reef, a large project crocheted entirely from yarn and plastic trash to illustrate the enormous trash pollution problem that is affecting oceans and marine life throughout the world. 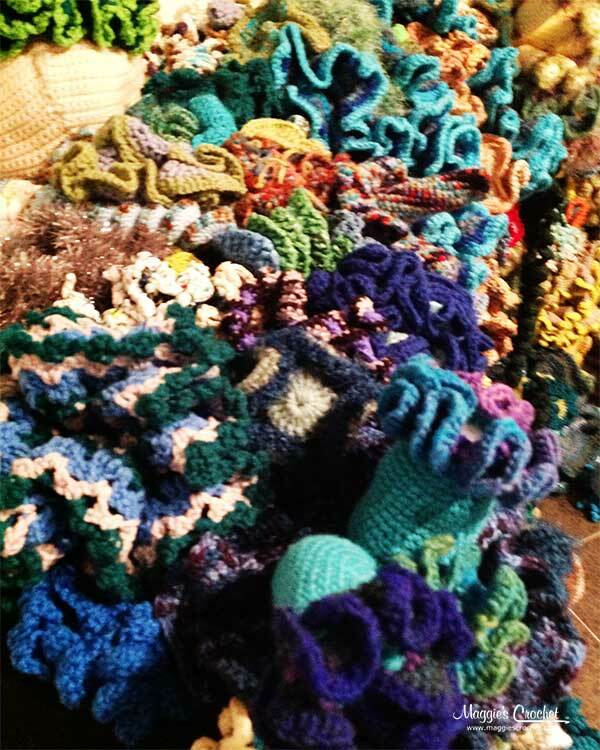 As a totality, the Crochet Reef has grown far beyond its original incarnation on the Wertheim’s coffee table so that today it is made up of many different “sub-reefs,” each with its own colors and styling. 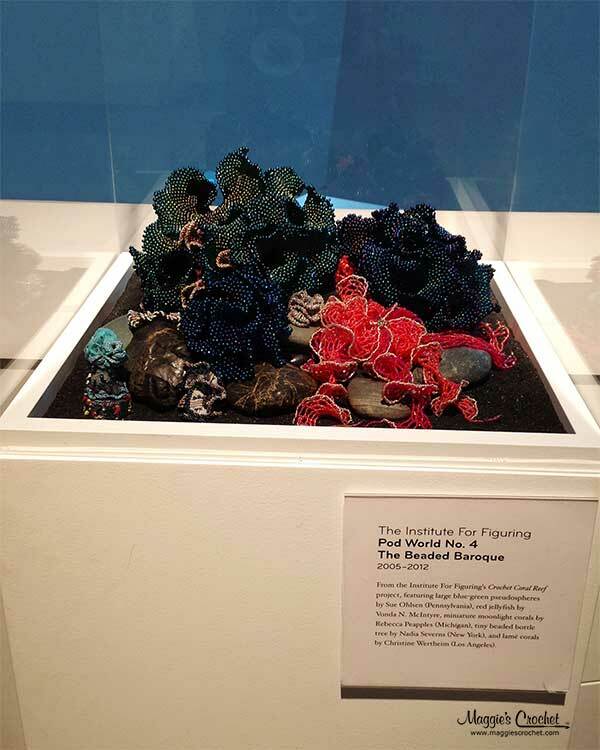 Major sub-reefs include the Bleached Reef, the Beaded Reef, the Branched Anemone Garden, the Kelp Garden, and The Ladies’ Silurian Atoll, a ring-shaped installation with close to 1000 individual pieces made by dozens of our most skilled contributors around the world. 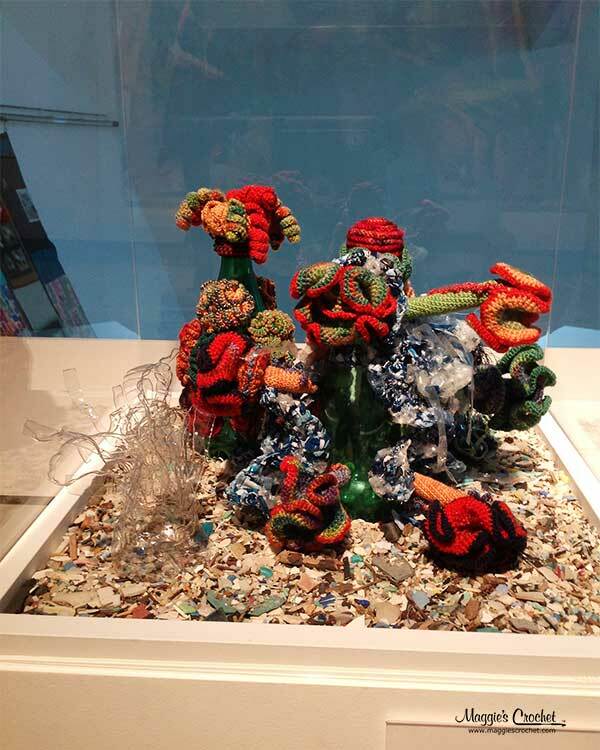 In addition to these delicate woolen reefs is also a massive Toxic Reef crocheted from yarn and plastic trash – a part of the project that responds to the escalating problem of plastic trash that is inundating our oceans and choking marine life. Thanks for reading. If you enjoyed this post read more about CCR in our post Coral Reefs Around the World. They are so beautiful! I wished I could see them with my own eyes. What a great works! I saw this exhibit several years ago at the Smithsonian in DC. I was sitting to rest a bit in the Natural History Museum several yards from the coral reef exhibit. Admiring the colors from afar, I started to wonder if it was really coral or a replica. Imagine my surprise when I found it was yarn. And then I saw that the book was written based on Mathematical principals! I was in heaven! Maggie, thank you so much for sharing these pictures and the story behind them. I’ve only had the opportunity to see a small coral reef in Hawaii which was was amazing. 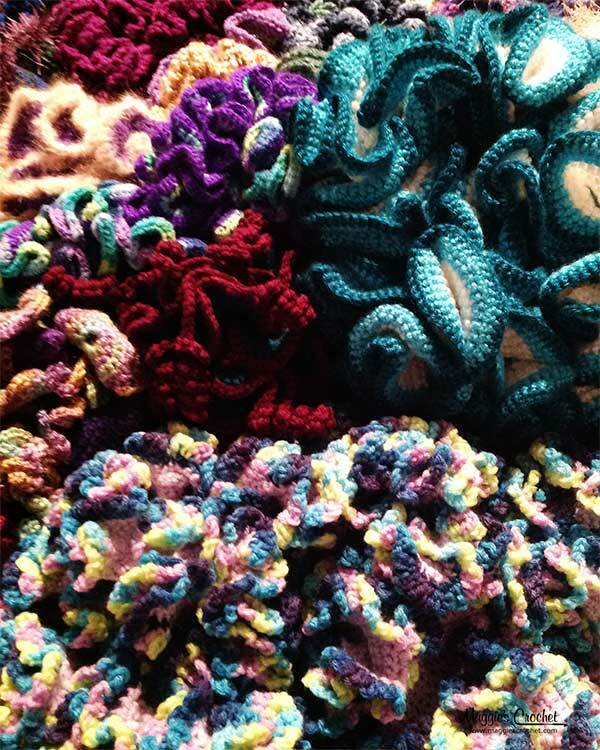 The work of the artisans that created these crocheted reefs are equally amazing. 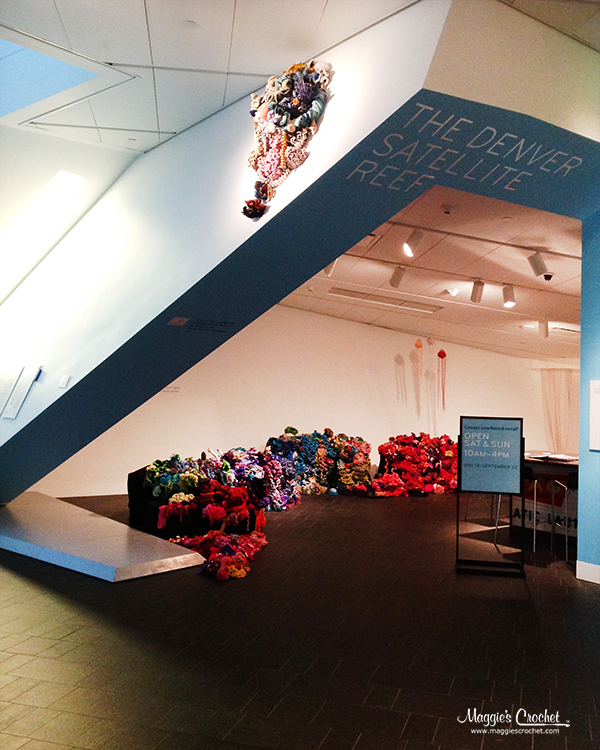 I’m putting this exhibit on my “Bucket List” of much see and experience.